I remember when I sent away for a headshot of Anna Chlumsky when I was young this was listed as being her favorite movie. Recently in reading about the Pre-Code era I was reminded of this title. The opening number “We’re in the Money” became a standard, but many forget that it was a very topical Depression Era song. 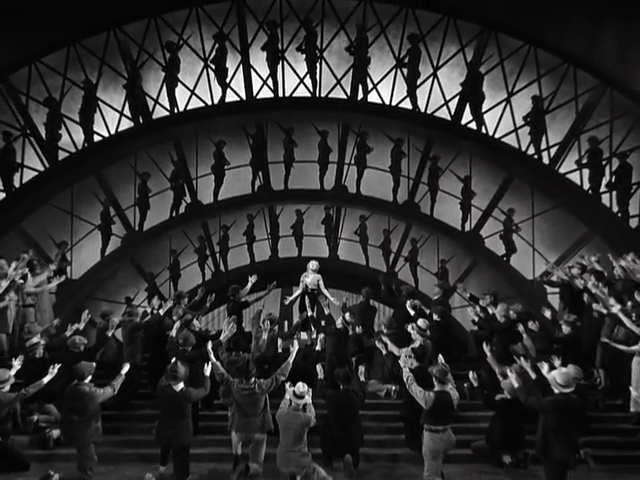 The musical sequences directed by Busby Berkeley are magical but by and large there is a disconnect between them, the occasional commentary and the light, escapist fare that is the thrust of the film. I forget my guess regarding this film’s nominations, but its nod for Sound Recording is well earned as the audio is crystal clear – not always the case in this time period, as sound was still in its infancy.